If you’re the type of person that enjoys building their own furniture we have something special prepared for you today: 10 DIY bookshelf design ideas that have what it takes to stand out and to look professional all while maintaining their unique character and offering the possibility of customization. These designs are just the right blend of looks and functionality. 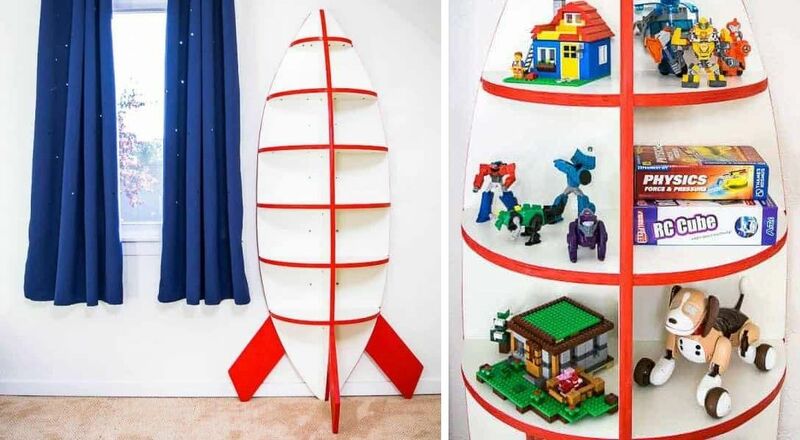 Let’s start with something fun: a rocket bookshelf that the kids will absolutely love. The design is perfect for a space-themed room and although it looks quite complicated it’s mostly just a matter of getting the measurements and cuts right. You can customize the rocket with your choice of colors. The white and red combo featured on thehandymansdaughter seems like a great option but, of course, this is in the context of that particular room decor. 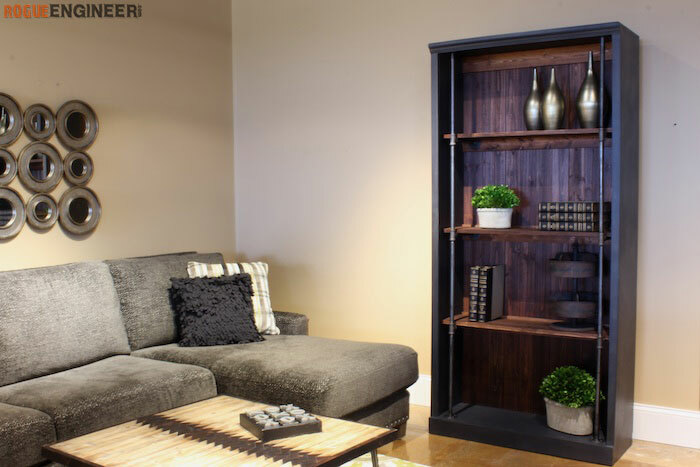 Next, an industrial-style bookcase that would look exquisite in spaces such as the living room or the home office. To build something like this you need a few tools to cut and prep the wood and the metal pipes and them to assemble all the pieces. You can adjust the measurements based on your own needs as well on how much space you want to dedicate to the final products. Check out a full list of supplies and detailed instructions about this project on rogueengineer. If you like the way in which wood and metal complement each other, check out another modern project that takes advantage of that. All the details can be found on homemade-modern. 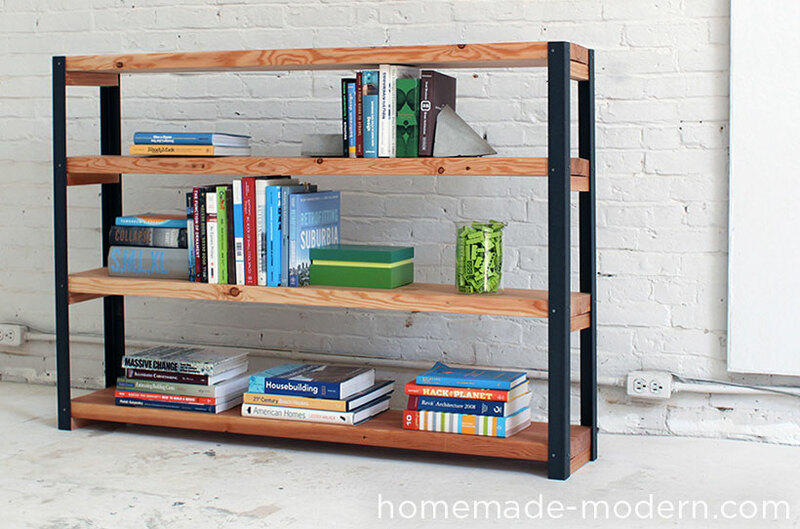 This EP36 ironbound bookcase is small enough to look cute and casual but also strong and sturdy enough to look solid. Of course, you can adjust the dimensions if you want to add more shelves or to make the bookcase wider or taller. There’s also the possibility to have two or more such bookcases for a more modular and flexible interior design. 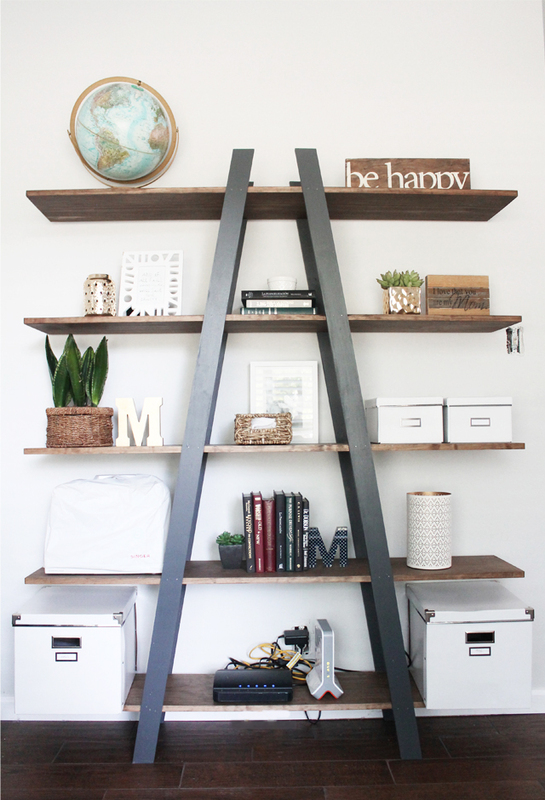 Ladder shelves are pretty easy to build plus they look charming, having this subtle rustic aura that really makes them stand out. The design is also fairly versatile so you shouldn’t have any problems incorporating your new ladder shelves into the existing decor of your living room, bedroom or office space. Find out more about what it takes to complete such a project on apairandasparediy. 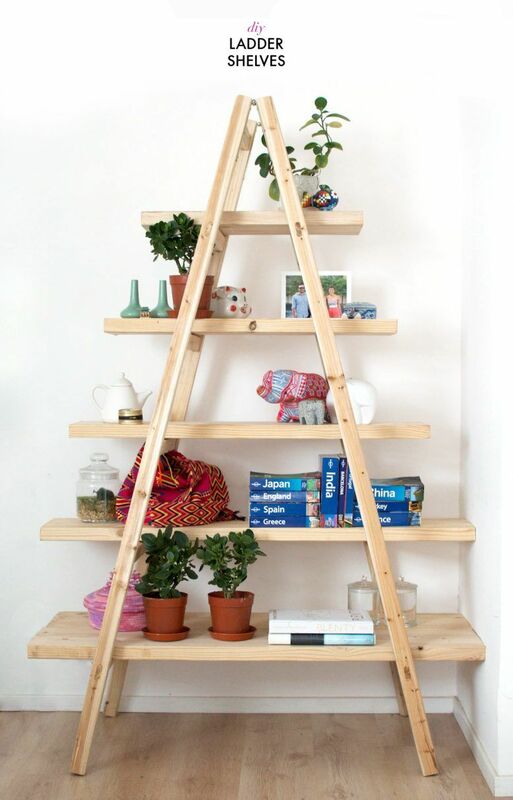 The DIY bookshelf design featured on cinsarah is inspired by ladder shelves but at the same time has its own style and character. It seems like a good fit for a variety of spaces such as the living or dining area, the bedroom or even hallways, entryways and kitchens. The structure is quite sturdy but at the same time looks lightweight and slender which is a great combination of attributes. 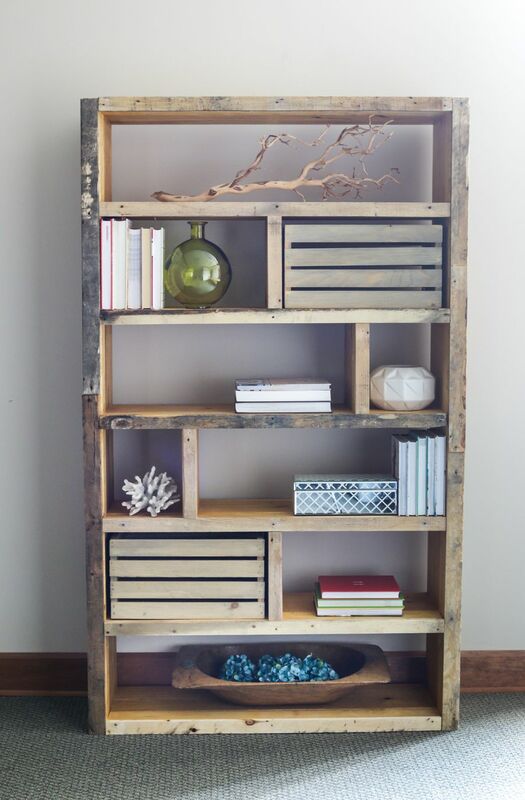 Reclaimed pallets are a great resource for all sorts of DIY projects, including bookshelves and shelving units. There’s a lovely tutorial on enwoodhouse which shows you exactly how to turn pallet wood into a custom bookcase with a rustic look and a customizable structure and compartmentalization system. You can always make adjustments to your own design or customize it using your choice of finishes and colors. Wood crates can also be repurposed and incorporated into the design of a custom bookcase and that’s actually a great idea when it comes to difficult layouts or cozy and casual reading nooks. You can use as many wine crates as you need or as many as can fit in the space. You can stain them or paint them if you prefer a custom color palette, although they look nice like this too. You can find more details on maisondepax. 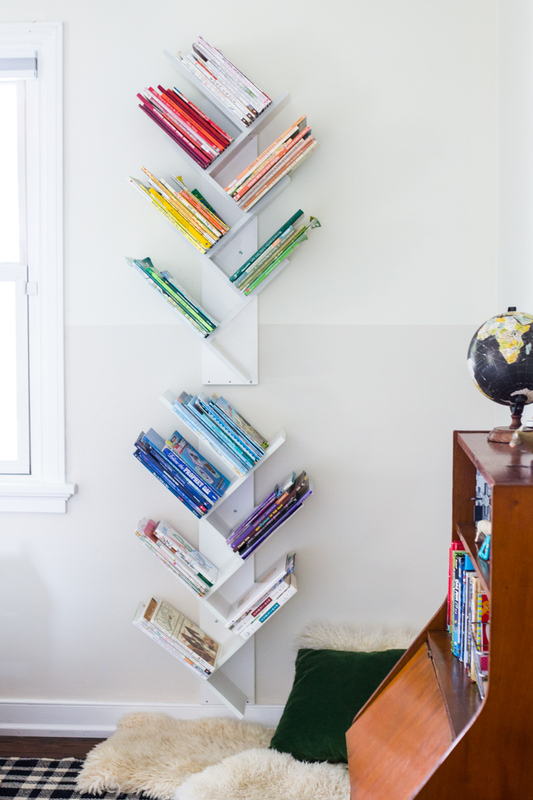 If you’re looking for a DIY bookcase design that’s super easy to build, consider a frame made of metal pipes and fittings. It’s super easy to put together and can look very chic, especially if you spray paint the metal either to make it look matte black or to have a metallic copper finish. Moreover, the frame will look beautiful when complemented by wooden shelves. Check out englishmuffinblog for more inspiration. 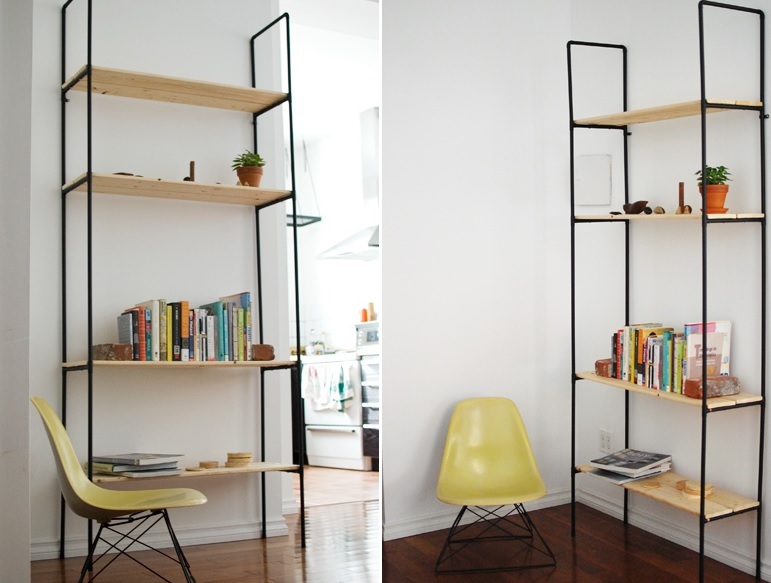 Another very inspiring DIY bookshelf idea comes from livefreecreative. This is a tree bookshelf with a minimalist design, one which has the potential to look special and beautiful is any room of the house. You can mix and match several of these modules or even improve the design to better suit a large space. 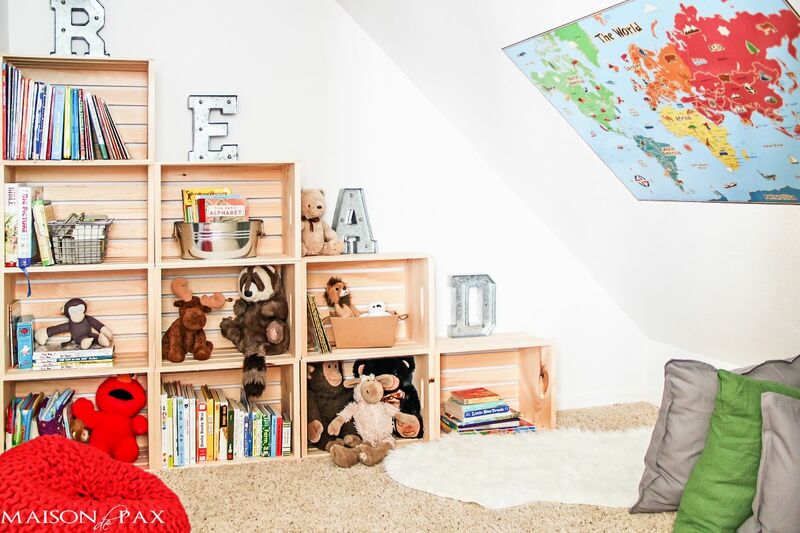 Using crates to build a custom bookcase can result in some very interesting and ingenious designs, like for example the one featured on livethemma.ikea. 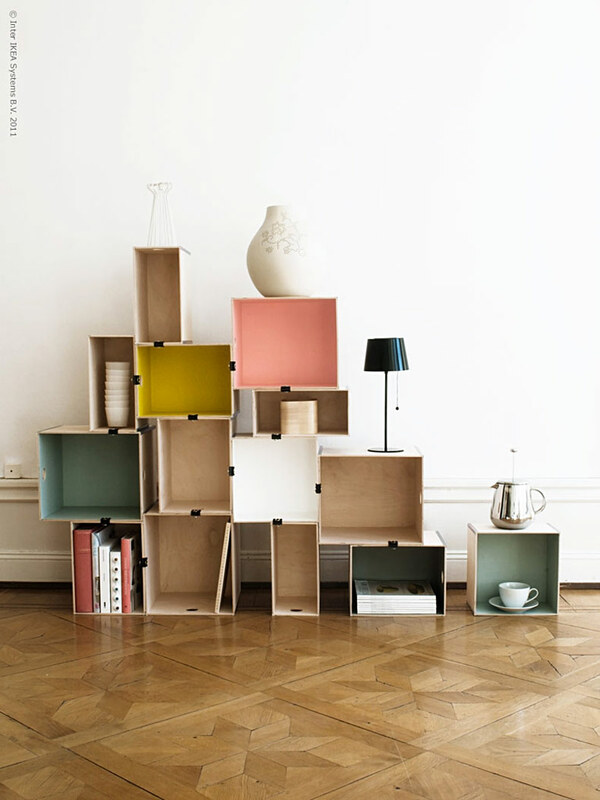 You can see here how multiple crates of different shapes, sizes and colors can be combined into a modular bookcase. If you’d like to maintain a modular and flexible structure, instead of permanently gluing the crates together or using screws to secure them to one another, consider some simple binder clips. The post 10 DIY Bookshelf Ideas With Stylish Designs appeared first on Home Decorating Trends – Homedit.